The newly released short film offers a bleak dystopia with humans at the mercy of "slaughterbots". 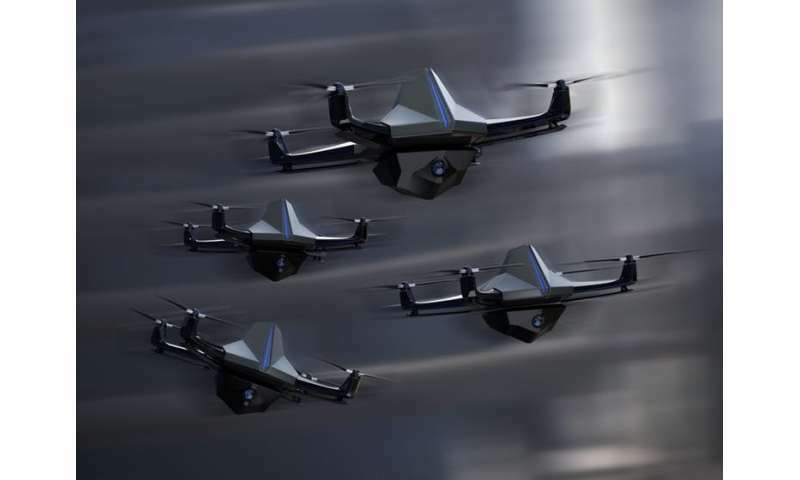 These are autonomous micro-drones with cameras, facial recognition software and lethal explosive charges. Utterly terrifying, and – the film claims – not science fiction but a near-future scenario that really could happen. The film warns with a frightening, deep voice: "They cannot be stopped." The only salvation from this impending hell is, it is suggested, to ban killer robots. This imaginative use of film to scare its viewers into action is the 21st-century version of the panic that HG Wells's science fiction writings created in the early 20th century. New technologies can almost always be used for malevolent purposes but those same technologies – in this case flying robots, facial recognition, autonomous decision-making – can also drive widespread human benefit. Bombing from aircraft was not outlawed at the 1922-23 Peace Convention at The Hague because governments didn't want to surrender the security advantages it offered. Similarly, no government will want to relinquish the potential military benefit from drone technology. The Campaign Against Killer Robots' terrifying new short film "Slaughterbots" predicts a new age of warfare and automated assassinations, if weapons that decide for themselves who to kill are not banned. The organisation hopes to pressure the UN to outlaw lethal robots under the Convention on Certain Conventional Weapons (CCW), which has previously banned antipersonnel landmines, cluster munitions and blinding lasers on the battlefield. Some have suggested that the new film is scaremongering. But the technologies needed to build such autonomous weapons – intelligent targeting algorithms, geo-location, facial recognition – are already with us. Many existing lethal drone systems only operate in a semi-autonomous mode because of legal constraints and could do much more if allowed. It won't take much to develop the technology so it has the capabilities shown in the film. Perhaps the best way to see the film is less a realistic portrayal of how this technology will be used without a ban and more a wake-up call about how it could change conflicts. For some time to come, small arms and light weapons will remain the major instruments of political violence. But the film highlights how the intelligent targeting systems supposedly designed to minimise causalities could be used for a selective cull of an entire city. It's easy to imagine how this might be put to use in a sectarian or ethnic conflict. Some have argued armed robotic systems might actually help reduce suffering in war since they don't get tired, abuse captives, or act in self-defence or revenge. They believe that autonomous weapons could be programmed to uphold international law better than humans do. But, as Prof Noel Sharkey of the International Campaign for Armed Robot Control points out, this view is based on the fantasy of robots being super smart terminators when today "they have the intelligence of a fridge". While the technology to enable killer robots exists, without the technology to restrain them, a ban is our best hope of avoiding the kind of scenario shown in the film.